Buy decorated glass or ceramic bottle for liquid soap. To cut down on plastic bottle waste from your home buy liquid soap in bulk and decant into your beautiful bottle. Use a water filter. Stop purchasing cases of bottled water and use a water filter. This can save you money and reduce the amount of plastic that ends up in our landfills. Eat more fruit and vegetables. Eating vegetarian cuts down considerably on the effects of global warming, because meat and dairy production creates more carbon emissions than all those cars and trucks on the road. Use cloth grocery bags. Buy beautiful cloth grocery bag from natural materials (linen, jute, cotton) and keep it close when prepare to go on shopping. That will save your money and will reduce the amount of waste that you create every day. Cancel the subscription of “papers” that you do not need. If you have changed you interests or your “paper” could be find online, simply cancel the subscription. This will reduce the amount of paper that ends the daily landfill. Beware of heat. Set your hot water heater no higher than 120 degrees. When baking, do not preheat your oven for more than 10 minutes. If everyone reduced their oven time by an hour per year, we would save enough energy to bake a billion cookies. Watch your water consumption. The simple replacement of existing taps with new models with lower flow will reduce the amount of used water by 30%. You can also count on the amount of water collected from your air conditioner to use to clean the house or watering the flowers. Walk. For short realtions, rather than sit in a car, choose a walk – walking is free, saves fuel, does not contribute to expanding the ozone hole and helps you to stay in good condition. Help the environment. Plant local plants in your garden or balcony, get involved in the actions of planting trees, do not tear flowers, do not fracture the branches of trees, do not trample the grass – more green plants means bigger Earth filter . Don‘t be greedy. Use things completely, if possible, several times, before throw them away. Think before you buy any stuff, whether you can do without it. Otherwise you just add quantity to the existing waste. Holidays without waste. Wrapping paper is a key source of waste during the holidays (decorative papers, decorative bags, ribbons). Reuse old paper and old packagings, or buy recycled materials. Be creative and unique. What green moments can you share with us? 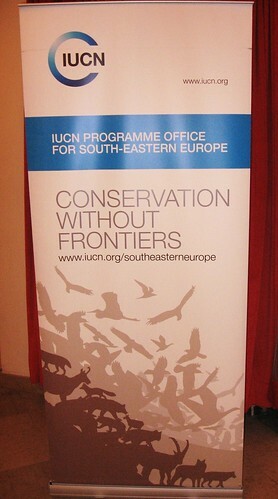 From 24.10 to 28.10.2011 in Valjevo, Serbia, was held training entitled “Building CSOs capacities on EU Nature related policies” organized by IUCN (International Union for Conservation of Nature), and it partners Ecologists’ Movement of Macedonia , Greens of Montenegro, Bird Protection and Study Society of Vojvodina (Serbia). 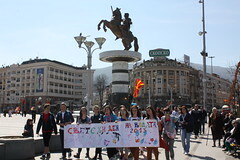 It aim was to strengthen civil society organizations in Macedonia, Montenegro and Serbia in order to increase their role in the implementation of key EU enviromental policies and strategies. This training is part of the EU funded project “EU Environmental Policies and Strategies in South Eastern Europe: Capacity Building for the Implementation of EU Environmental Policies and Strategies in Macedonia, Montenegro and Serbia”. The accession to EU is not a smooth process for Western Balkan countries, but a long journey with a number of challenges on the way. The process includes synchronization of the national legislation with the EU one, ensuring its implementation by introducing new acts at national level, genuine involvement of all stakeholders in the process of decision-making, improvement of regional cooperation etc. Additionally, raising awareness and capacity building for the implementation of the EU policies and strategies are of the utmost importance for a successful accession process. CSOs are seen as the driving force for transformation of the society in the Western Balkans countries and establishing close cooperation and a functional network of skilled and knowledgeable CSOs is essential for achieving the above aim. Written by Kylie Walker, an active blogger who is passionate about the environment, healthy living, and innovative technology that will help create a cleaner world. Green. It is more than a color, name, or a term used to describe vegetables and foliage. It is also slang for paper currency. More important, it is a popular political movement. “Going green” is a phrase that society uses to describe a crusade to promote global environmental social responsibility, peace, bio-regionalism, and protection. Common words that are associated with the Going Green movement are “re-cycling,” “re-purposing” and “re-using.” However, we can do so much more than re-purpose, re-cycle, and re-use. Today’s technological advancement in green living has brought about opportunities to more efficiently manufacture vehicles, produce medical improvements and construct homes and buildings. Individual people are becoming more conscious of the need to protect the environment, and whole neighborhoods are gathering to reduce their carbon footprint. Some communities are fortunate and have been given the opportunity to “go green” cost-free while others must pay for the experience and privilege of living energy efficient. For example, British Gas recently initiated a part of the movement, “Green Streets”, and installed a ground source heat pump and placed a solar roof on the village hall at Tackle, Britain. Residents replaced appliances and received energy saving light bulbs to use. Because of the costly project — the gift of free energy saving equipment worth £150,000 — the community was able, overall, to produce their own power with these devices and save on energy costs. Other neighborhoods are not as fortunate as the Tackley community, but are still benefitting from green homes. Build San Antonio Green (BSAG) has formed a partnership with a construction company, KB Homes, based in Los Angeles but working in San Antonio, Texas. They have agreed that the homes they build in San Antonio will be energy efficient. Even though BSAG is a non-profit organization, it demands superior standards even above the municipal code’s energy efficiency specifications. BSAG homes are, on average, about 15% more energy efficient than other homes. Indoor air quality, water and energy are all more efficient due to technology. HVAC systems have been revolutionized, insulation has been augmented, windows have been replaced with dual panes, and roof tops exhibit solar panels. The total elimination of monthly electricity bills is the objective of KB Homes as they build houses based on BSAG principles. Greg Powell, owner of Powell Construction Services LLC, built Cottages at Harbor Shores Hideaway on the shores of Lake Michigan. Powell, like BSAG, is seeing an increase in green home purchases. He is building energy efficient homes with high performance levels that are also attractive and elegant. The Digital Journal reports that seven homes have been built and seven more are under construction. The homes are constructed to comply with the standards of the National Association of Home Builders (NAHB). The homes that have been built and those under construction have and will receive a Gold Standard rating from Green Built Homes. The year round Michigan weather was taken into consideration as Powell made sure the homes would withstand the harsh weather conditions — the extremes of cold temperatures and the warm summers. Furthermore, a bill currently in Congress would compel the three largest mortgage agencies – the Federal Housing Administration, Fannie Mae and Freddie Mac – to take energy costs into consideration in every loan they purchase, insure or guarantee. They would also be required to advise appraisers, when factual information is available on energy-efficiency savings, to adjust property valuations upward. The bipartisan bill was introduced October 20, 2011, jointly sponsored by Republican Johnny Isakson from Georgia and Michael Bennet, a Democrat from Colorado. The Sensible Accounting to Value Energy (SAVE) Act will include the estimated energy-consumption costs for the house, in addition to the standard principal, interest, taxes, and insurance (PITI) computations as a compulsory new underwriting determinant. There are two things that people strive for and ultimately want to accomplish: saving money and living comfortably. Researchers are constantly working toward that conclusion while enabling people to dwell energy efficiently. Even more innovative technologies will soon be appearing in our homes because the biotechnology field is rapidly increasing. The biotechnology field is growing rapidly, and it will not be long until even newer technologies make it into our lives, outside of the home as well. Researchers like Winston Wong and Dr. Leroy Hood are pioneers in the biotech industry, creating the first Biofuel Ice Vehicle and an Automated DNA sequencer, respectively. The increase in biotechnology is helping shape our lives in every aspect for a greener future. * This post is written by guest author – represents the opinion of the author and do not necessarily reflect the views of Greener. Recycling is the separation of materials from waste and their reuse. Include collection, separation, processing and manufacturing of new products by already used objects and materials. It is very important to make proper separation of waste so that many materials can be reused if they are collected separately. Without involvement of recycling in everyday life, it is difficult to imagine the process of waste management. What can be recycled? All material in their composition paper, glass, cardboard, aluminum, iron, ceramics, plastic (polymer materials), etc. In the countries of European Union annually are processed in between 50-60% of waste from which most concerns the metal processing industry. It is followed by recovery, recycling and re-manufacture of paper and therefore the collection and selection of old paper (that is basic raw material in the process) is one of the best organized. In addition to recycling paper significantly affect the environment in a positive direction, also this kind of treatment could be a profitable business, too. Austrian group “MM”, which covers more than 60% from the European market (where annually about 1.5 million tons of different types of cards) the biggest part of the business incude manufacturing from recycling. Also producer “RENO DE MEDICI” delivers annually about one million tons of cardboard packaging. Most widespread method to recycle used cardboard boxes for packaging of drinks is the process of separating the fibers in factories for recycling paper. The process includes placing the paper and boxes in large barrels with water and their mixing. With this proces fibers can split and the paper is cleaved very quick. The fibers soak up water and turned into a great mixture of water/soaked fibers. All non paper elements such as plastics float on the surface or sink to the bottom, so they can be easily removed by scraping or sieving through a sieve. This process usually takes 15-30 minutes and draws most of the fibers. The obtained fibers can still be used for the production of newspapers, paper bags, paper handkerchiefs, rib-cardboard box and so on. What types of paper can be recycled? All types of notebooks, notepads, written sheets of paper, magazines, newspapers, advertisements and flyers, paper copy in color, envelopes, cardboard boxes, cardboard wrapping, carton bags, all types of cards from purchased products in a retail and wholesale, paper packs from milk, yogurt, juices and so on and so on. 1. Recycle paper – do not dispose newspapers! With recycling of collected paper from your home or office you will save destruction and cutting of trees! 2. Recycle paper – processing and recycling of old paper use 15% less water. Some data indicate that recycling one ton of office paper, we save 17 trees, 4.200 kilowatts energy and 32.000 liter of water! 3. Make a selection of paper from glass, plastics, metals, organic waste and dispose it in special bins solely for the paper. That will be your contribution in managing paper waste – sending it to the recycling place, not on the landfills! 4. Use paper products several times! 5. Lobby for the adoption of laws on compulsory selection and recycling of waste paper! graduate engineer technologist – polymer engineering. In conditions when we are always busy and even many worries pressure us everyday, we are forgetting healthy eating habits. Well, it is clear that the development of technology has brought changes in the way and speed of life, but try to remember, when was the last time your family gathered on a warm, home-prepared, lunch? On the one hand, the facts show that fresh food is used and prepared less than extremely attractive fast food (food industry received) which is easy to reach. Various types of baked goods, snacks, cookies, sauces, dairy products and meat industry products are found in abundance on shelves in supermarkets and in a shortly time they can satisfy our hunger. But be aware that through their consuming in our body are simultaneously introduced over 300 kinds of chemical additives and obtained about 50 types of natural additives added during production, preparation, processing and packaging. Let me mention some of the additives have a harmful impact on your health. Additives are actually those substances that make the products stay fresh longer (not to spoil – to change the taste, color, form) and must be noted on the packaging of the product with the label “E”. It is the mark according to European standards, but accepted almost worldwide. If you are concerned about additives, more information can be found at the following link. – Traditional food – cooked from the fruit that grows in our climate, prepared on the way our ancestors did. One proverb says “health comes from the mouth.” The food is not only necessarity, it is cure and pleasure. Be careful when choosing what to eat. Think about things you eat and make an important step toward your better health. Take the fruits of nature, replace the industrial food with nuts, seeds, fruits and vegetables from the area where they originated, replace soft artificial drinks with freshly pressed juices or simply pure water … and be healthy and happy. Today is our birthday … 1st birthday …. 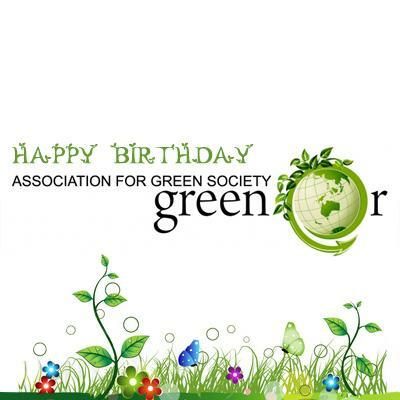 Click “LIKE” and live greener! Few days ago, I saw an article on the news about leackage of waste water from the landfill “Drisla” into river Markova Reka. The head of public enterprise “Drisla”, had a statement in which among other things, he said, “It looks frightful in principle, I think, when you see a black water, but it is black because passes through the waste. It certainly contains dangerous substances, definitely, as each sewer pipe contains, to say, certain concentrations are higher.” The full statement and article about can be found at the following link. Because I don’t want to remain indifferent to what happens to the environment I would like to point out what is actually found in that landfill leachate and why it not only looks frightful, but it is really frightful for the environment and human health. Dissolved organic matter – alcohols, acids, aldehydes, short chain sugars etc..
Inorganic macrocomponents – calcium, magnesium, sodium, potassium, ammonium, iron, manganese, aluminium, chloride, sulfate and hydrogen carbonate. Heavy metals: cadmium, chromium, mercury, copper, lead, nickel and zinc. Xenobiotic organic compounds (XOCs) such as halogenated organics (PCBs, dioxins) originating from household or industrial chemicals. These compounds include among others a variety of aromatic hydrocarbons, phenols, chlorinated aliphatics, pesticides, and plastizers. Other compounds may be found in leachate from landfills: for example, borate, sulfide, arsenate, selenate, barium, lithium and cobalt. The tables below show the possible health effects of some chemicals that can be found in household waste and which are dumped into the landfill and if not properly controlled could leak out as leachate. Ingestion – small amounts ingested GI irritation, nausea and diarrhoea within 15-30 mins. Larger amounts affect calcium and zinc metabolism, cause facial and pulmonary oedema. Severe abdominal pain, diarrhoea with black stools, vomiting, hypotension, cramps, headache, confusion, drowsiness, coma and seizures secondary to cerebral oedema. Cadmium compounds Fumes – anaemia, kidney damage, possible prostate and lung cancer. Lead Anorexia, abdominal pain and constipation. Toxic megacolon, headaches, fatigue, depression, dropped wrist, proximal renal tubular dysfunction, chronic nephropathy and hypertension. Respiratory – necrotising bronchitis, pulmonary oedema, ARDS, pulmonary haemorrhage. Haematological – thrombocytopenia, anaemia secondary to GI bleed. Please note that the information presented in this post are not directly related to the composition of the leachate from the landfill Drisla, but gives general information about the most common pollution from landfills. It aim is to draw attention for taking measures to protect the environment, in order to protect our health. At the same time once again I’m emphasizing the need of proper and responsible waste management. It remains to believe that the collector which will purify leachate from Drisla will be ready in two months and to hope that will never see this picture of black water again. * Tables are taken from the following link. Under the motto “cleaner.” we devoted September 2011 to waste management and its importance.